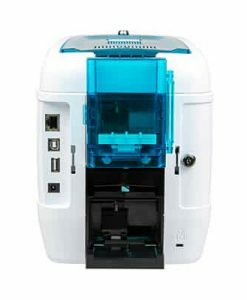 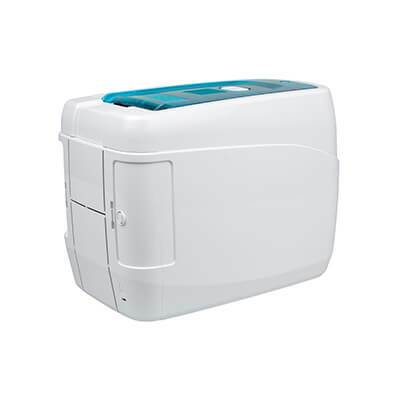 Javelin DNA Card Printer Series is the new generation of desktop printers from Javelin. 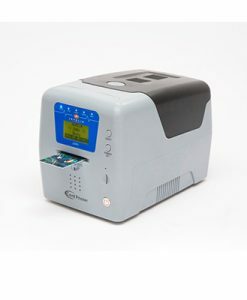 The DNA Series is compact, powerful, user friendly and delivers outstanding print quality and performance at a great price. 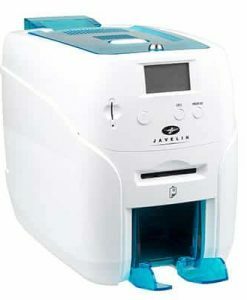 The Javelin DNA Series offers an all in one solution with high quality colour or monochrome printing. 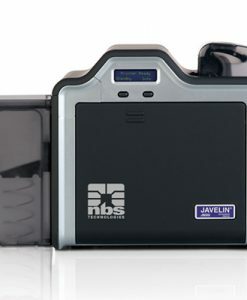 There are two main models in the series – the Javelin DNA and the Javelin DNA Pro. 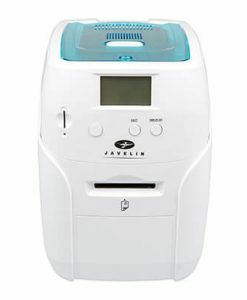 The Javelin DNA is an entry level printer. 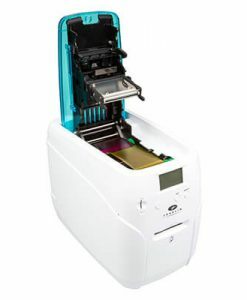 It is single-sided and features manual feed making it suitable for smaller print runs. 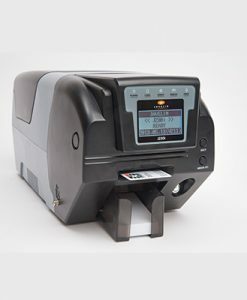 It is ideal for instant ID badge or membership card issuance and for hospitality applications. 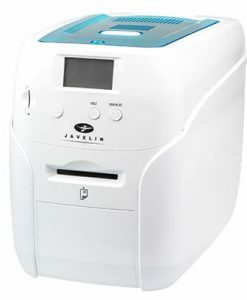 The Javelin DNA weighs only 3.7 kgs and with its small footprint is ideal in reception areas where space is often limited. 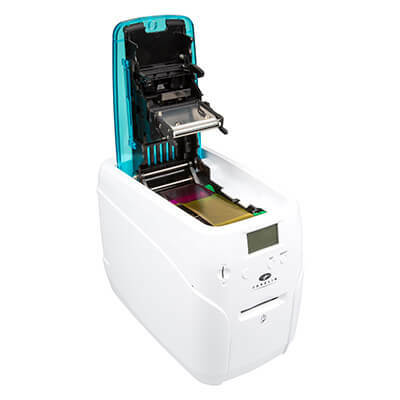 Print methods are thermal transfer for monochrome printing, and dye sublimination for colour printing. 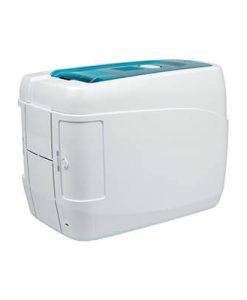 It is compatible with Windows XP, Server 2003/2008, Vista, Windows 7, Windows 8 and 10. 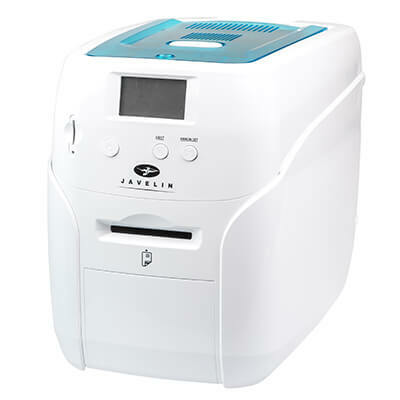 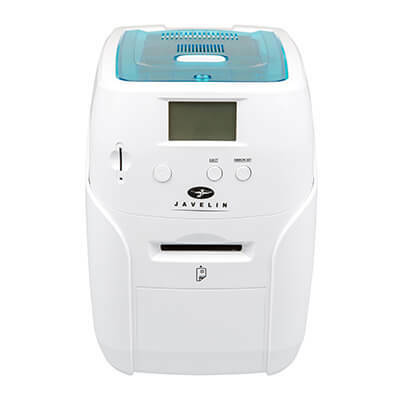 The Javelin DNA features an LCD screen which displays printer status and diagnostics and comes complete with ID card software and consumables.